5. 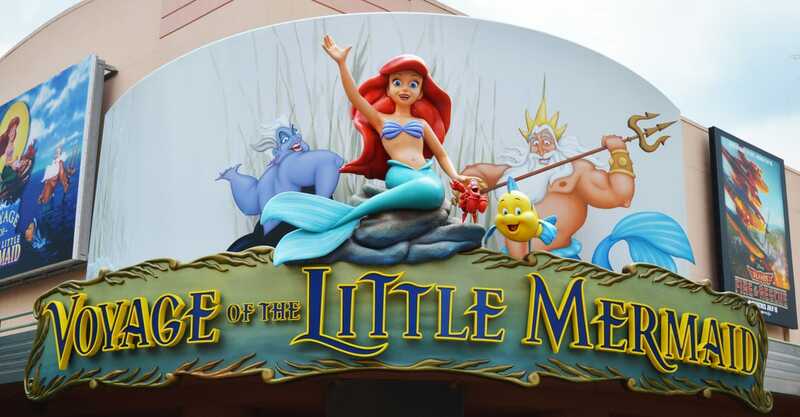 Voyage of the Little Mermaid – Guests who are looking to enjoy live entertainment in Disney’s Hollywood Studios are in luck as the park is home to several shows that are so amazing, they simply cannot be skipped. The Animation Courtyard section of the park is home to one such show that brings the story of a beloved Disney Princess to life. Just around the corner from the Star Wars Launch Bay is Voyage of the Little Mermaid, a live reenactment of the story of Ariel. After passing through a nautically themed lobby, guests enter into a theater where the wonderful show soon begins. The story of Ariel falling in love with Prince Eric and coming head to head with Ursula is brought to life through music, familiar characters, animation, special effects, laser lights, black lights, puppets, audio-animatronics, and live acting. With so many elements, some might think that the show could be over the top but Voyage of the Little Mermaid is amazing from start to finish and will definitely have guests singing along and cheering when Ariel and Prince Eric are finally together at the end. Voyage of the Little Mermaid runs continuously throughout each day in Disney’s Hollywood Studios and is a must do in the park.